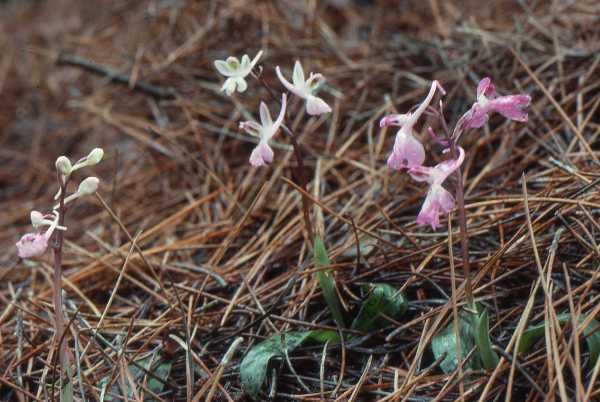 There are many visual similarities between populations of Orchis anatolica, Orchis quadripunctata and Orchis sitiaca, but it is the smaller flowers and flat lip that are the main distinguishing features which separate O. anatolica from the other two. 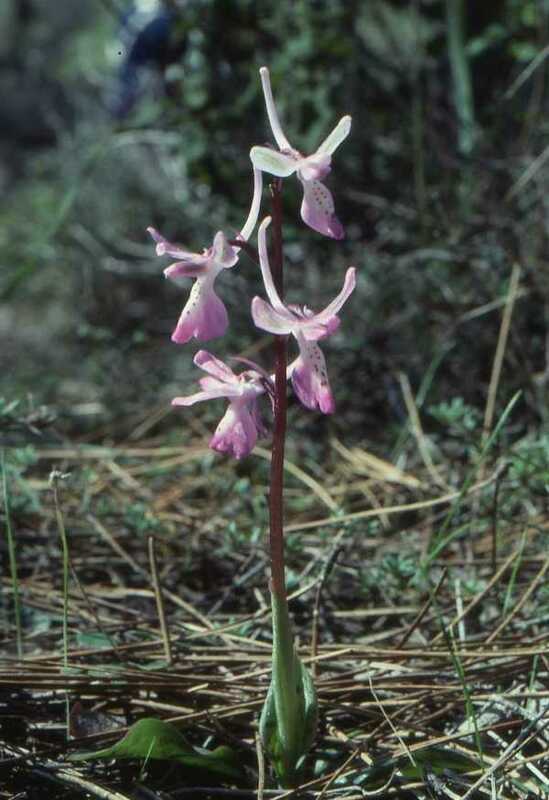 Orchis anatolica grows up to 40cm tall and has 2-6 dark green basal leaves which are sometimes marked with purple. There are smaller bract-like leave higher up the stem which is washed red. The lax inforescence carries between 2-15 flowers which are pink-to-purple, occasionally white. The 3 lobed lip is convex and is marked with dark purple spots. 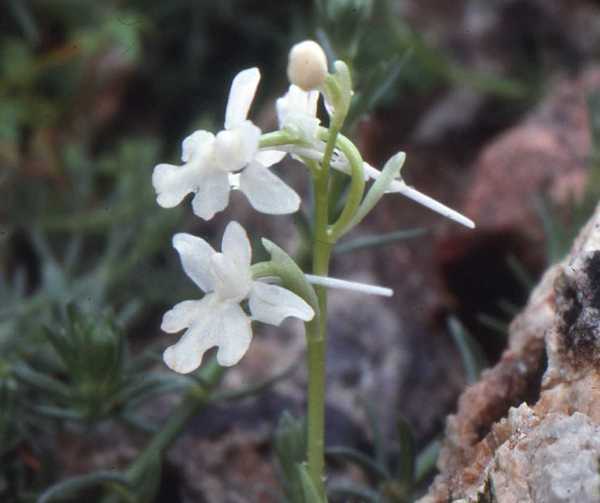 The Anatolian Orchid occurs in various parts of the eastern Mediterranean including Crete, Rhodes, Karpathos, Kasos, Cyprus and mainland Greece. There is some confusion surrounding the identification of the plants found in Crete which may be the result of hybridisation between O. anatolica and O. quadripunctata. The plant grows in open woodland and scrub on calcareous substrates which are dry-to-moist. It blooms from the end of February through to the beginning of April.